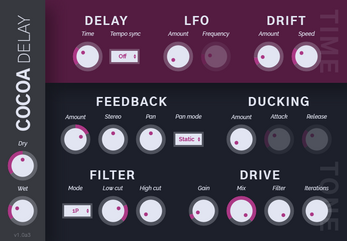 A tasty, cozy delay plugin. 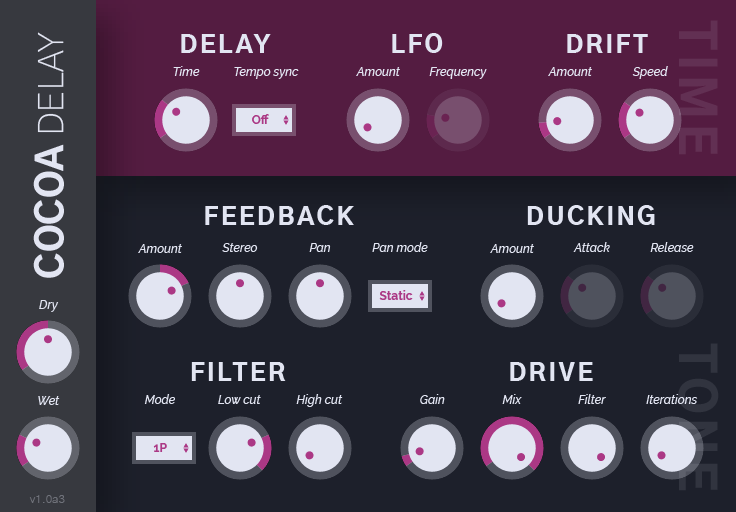 Cocoa Delay is a free, open-source delay plugin in VST format. It focuses on clean design, easy operation, and a warm, lively sound. Cocoa Delay is free and open-source, but if you're feeling generous, feel free to toss me a donation of your choice! If you're a programmer type, you can check it out on GitHub. You can also read a manual here.